Jim Fouts, the mayor of Warren, Michigan, has written an op-ed for The Detroit Free Press responding to criticisms that Cadillac should be relocated to Detroit instead of the suburbs. The op ed was in reply to an article written by The Detroit Free Press‘ Mark Phelan entitled ‘Cadillac moves a lot, but doesn’t get anywhere‘. In it, Phelan critiqued to the convoluted situation surrounding the brand’s physical address. He also pointed out that out that Warren is far cry from stylish Manhattan, and that the former Campbell Ewald building Cadillac is moving into pales in comparison to its old NYC digs. That didn’t sit right with Fouts, who admitted Phelan’s article “did not degrade our city in any way,” but left him feeling as though he was dismissing the city of 134,000. Fouts’ op-ed said Warren is now the industrial capital of Michigan, serving home to the General Motors Technical Center, along with FCA’s truck assembly plant and a large FCA stamping plant. This made Cadillac a natural fit, he claims, situated directly across from the technical center and among other engineering-related businesses. GM was clearly acting with its best interests in mind when it chose the Warren site, which is conveniently located near its technical center and was likely very affordable. It moved from NYC for exactly those reasons, after all. Detroit residents are rightly peeved that Cadillac wasn’t moved downtown, though, with the city obviously in need of new businesses. 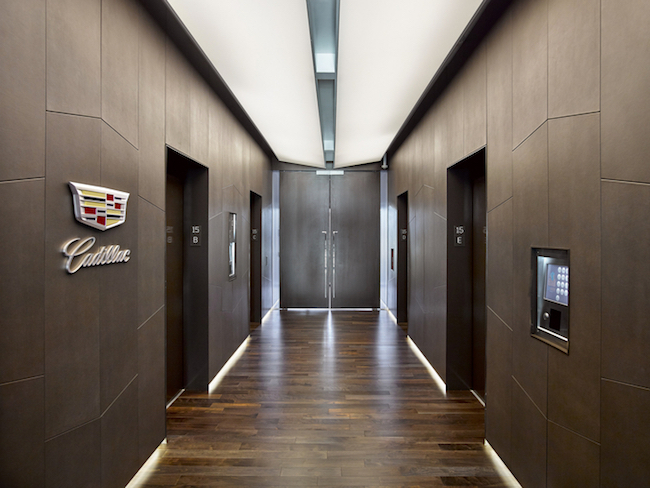 Cadillac will move into the former Campbell Ewald building after spending four years at its high-end offices in New York City. The brand moved to the Big Apple in 2015 to better align itself with luxury customers, a decision that was met with criticism from the start. 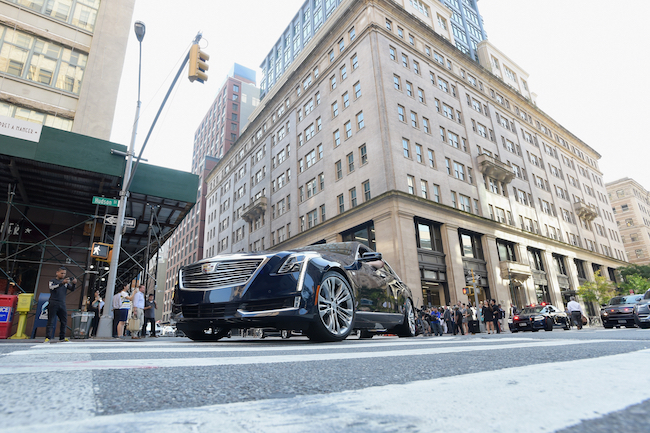 In June, Cadillac spokesperon Andrew Lipman said it’s “100 percent that we’re staying here, that was never a question,” when asked if the brand could move back to the Detroit area following the departure of Johan de Nysschen. Until Detroit cleans up the goverment and clear out the corruption downtown will remain half r3built and half looking bombed out. Give credit to Dan Gilbert for trying to make a difference but he too will fail in the long run as it will take the population to vote these folks out. Unfortunately that will not happen. While I totally disagree with Cadillac moving back to Michigan, in Detroit’s defence in one case then Mayor Bing did try to downsize the city limits to boost tax revenues and use less resources, after passing the city’s council the state said no. In other words Michigan have as much in Detroit’s downfall as well. It takes all hands on deck not just one guy. Right now with their past few people want to invest in down town. As for the state the rest of Michigan really does not want to pay for the sins past and present of Detroit. Detroit is in need of an image make over even greater than Cadillac. Detroit needs to earn trust from the state an business. Gilbert is trying to show he has faith in hopes to draw others in. Detroit better take care of Dan as they need him more than he needs them. If they dump on him no one will ever come to help. So one rubber-stamp governor is gonna remake Detroit after decades of neglect from the rest of the state because of some people’s political BS party ( R and D are both corrupt). Give me a break, you know it’s deeper then that. Add to that Penske, (not to mention the car companies) also controlled dollars for years during the decline of Detroit since the 70s. One business-man alone can change much without political change also. It takes all hands on deck not one guy. That clearly means all parties and levels of goverment. Note too I am not holding my breath. As for the car companies they owe nothing but taxes but even then GM still has invested. The move downtown was not a positive move for GM but it was to help Detroit. As for one man. Look at Penske he has invested much in Detroit but yet he gets crapped on for the race he promotes. It is one of the few things worth attending. Down town is a hole. I got hit up for money several times just walking from Cobo to the Hard Rock to eat. Nice way to greet out of towners. Note it was -5 out too. You read this as said before Michigan is as much at fault as anything for Detroit, I said this because as mentioned before the city did try to do something about it and the state didn’t support it. Who knows how many times the city tried to turn around to get opposition from the state. With the way they were running their house they did not deserve it. If they would clean up theirs house they may see a lot more help. But till then few people political or private want to dump money in this bottomless pit. I can remember in the late 80’ being downtown and on Clark street watching the cops chase people smashing out store fronts in the middle of the day. It was NewYears day at that. It was like a scene from Robo Cop. The gas stations around Old Tiger Stadium are more secure than banks in many places. Not fertile ground for investment. How many years have we seen stolen and mis appropriated funds by those in political office. How many arrest? There is no easy fix till the corruption is run out. So hell-lite (Warren) or full-frontal-hell (De toilet)….? Should just move to Hell, Michigan, there is such a place. Not the same for Cadillac, as Cadillac should be treated as a fully autonomous operation. Besides, Bowling Green is currently the 3rd home of the Corvette, and I don’t think the Corvette nameplate has been irrevocable damaged because the car isn’t being made in Flint or St. Louis. Cadillac SHOULD have moved to Detroit. Everybody dissing Detroit in these comments is behind the times. Detroit is currently one of the hottest upcoming areas. In addition to the current transformation of downtown, the deals being done now will shock and surprise people. Enjoy your Applebees & Olive Gardens in suburbs like Warren, but if Cadillac really knew what they were doing, they would have embraced the incredible creative transformation of their hometown. That hell hole in the US where car brands crawl under a rock and die.